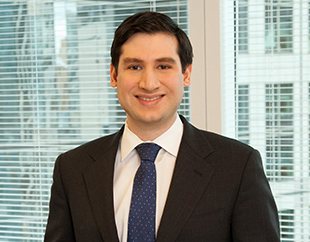 Alexander Levi specializes in complex commercial litigation with a special focus on contract actions, employment, and securities law. He represents clients in the financial services, real estate, education, and other industries, and has experience arguing summary judgment and other motions before state and federal district and appellate courts. Representation of a large global financial institution in connection with multiple matters involving the enforcement of promissory notes issued to former employees. Representation of two former directors of a Cayman holding company established to hold the equity of a worldwide logistics company in defense of a breach of fiduciary duty and other claims brought under Cayman law by the bankruptcy trustee for the logistics company. Representation of a global bank in litigation involving the payment rights of "liquidity providers" under an asset-backed security indenture. Representation of a global commercial real estate firm in connection with claims against a former employee for unfair competition, breach of contract, and expropriation of intellectual property. Representation of T-Mobile USA, Inc. as plaintiff in connection with antitrust claims related to an alleged conspiracy to fix prices of LCD screens. The matter settled in a manner highly positive for the firm's clients. Representation of majority bondholders and indenture trustee as plaintiffs in Delaware Court of Chancery against a corporate issuer over the right of convertible noteholders to “put” over $60 million in notes to the company for par value in light of a corporate sale of assets comprising a fundamental change by the issuer. Obtained dismissal, after delivering oral argument, of claims asserted against a major university brought by a former student of an affiliated university in the Supreme Court of New York, New York County. Defense of ANA, Japan’s largest airline, in litigation brought by a former supplier. All claims against ANA were dismissed, and ANA was awarded its attorney’s fees and costs. Mr. Levi serves as Secretary of the Board of Directors, as well as Rear Commodore, of Beach Point Yacht Club in Mamaroneck, New York. In addition to his secretarial responsibilities, Mr. Levi assists with event planning for the Club, recently chartering two spectator boats for members to watch the 2016 America’s Cup races.